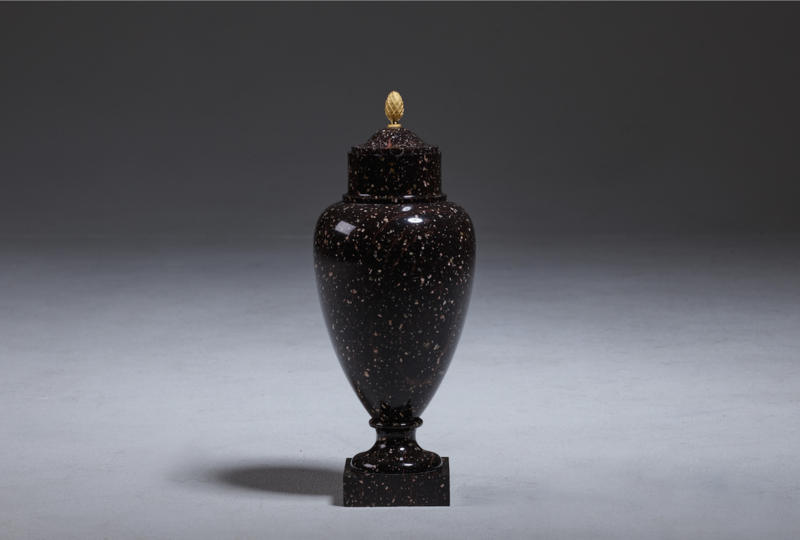 In porphyry and gilt bronze. 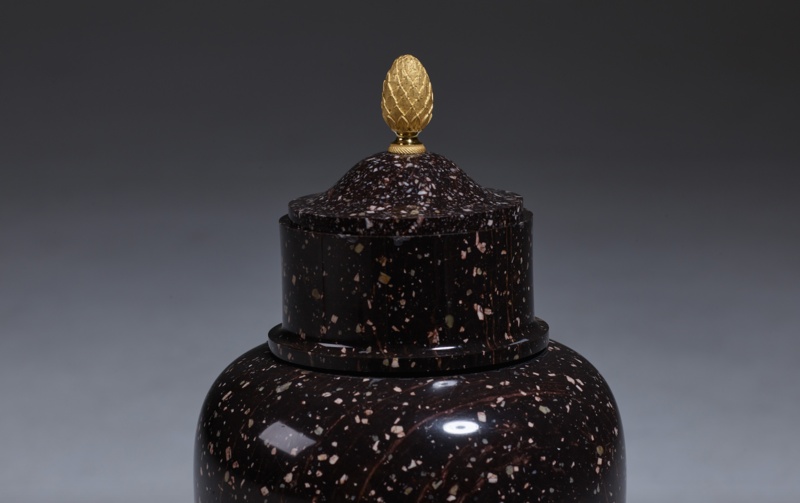 The vase with an ovoid body surmounted by a domed lid with a gilt bronze pine cone final. Standing on a moulded circular base on a square plinth. 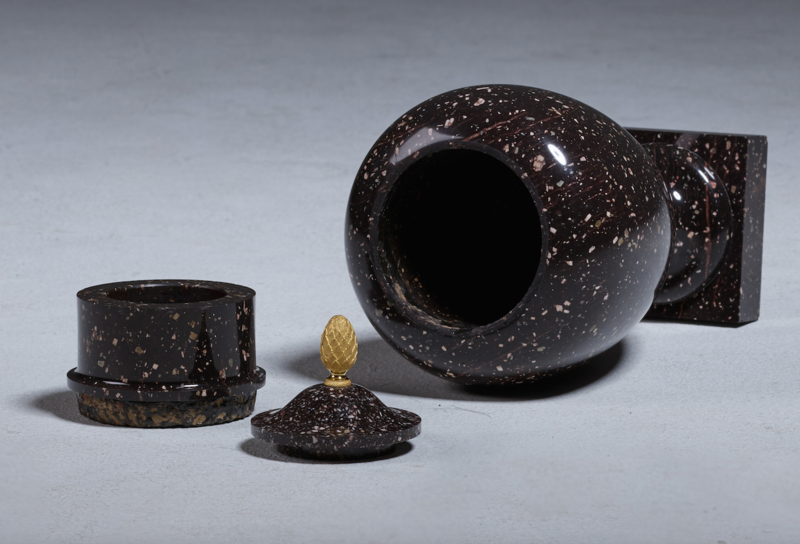 The model of this vase was produced from 1805.